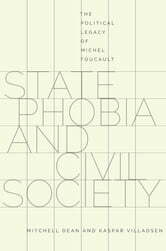 State Phobia and Civil Society draws extensively upon the work of Michel Foucault to argue for the necessity of the concept of the state in political and social analysis. In so doing, it takes on not only the dominant view in the human sciences that the concept of the state is outmoded, but also the large interpretative literature on Foucault, which claims that he displaces the state for a de-centered analytics of power. Understanding Foucault means understanding all his interlocutors—whether Marxists, Maoists, neoliberals, or social democrats. It requires turning to Foucault's colleagues, including Deleuze and Guattari, François Ewald, and Blandine Kreigel, in relation to whom he carved out a position. And it entails an examination of his legacy in Hardt and Negri, the theorists of Empire, or in Nikolas Rose, the influential English sociologist. 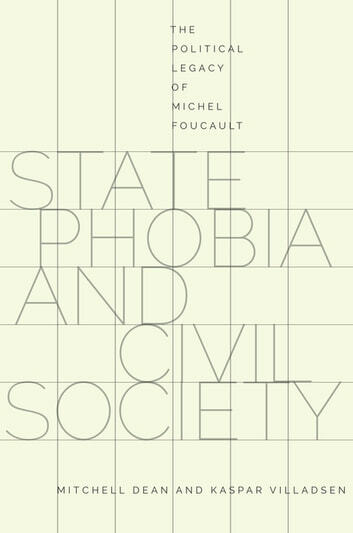 Foucault's own view is highly ambiguous: he claims to be concerned with the exercise of political sovereignty, yet his work cannot make visible the concept of the state. Moving beyond Foucault, the authors outline new ways of conceiving the state's role in establishing social order and in mediating between an inequality-producing capitalist economy and the juridical equality and political rights of individuals. Arguing that states and their cooperation remain of vital importance to resolving contemporary crises, they demonstrate the interdependence of state and civil society and the necessity of social forms of governance.